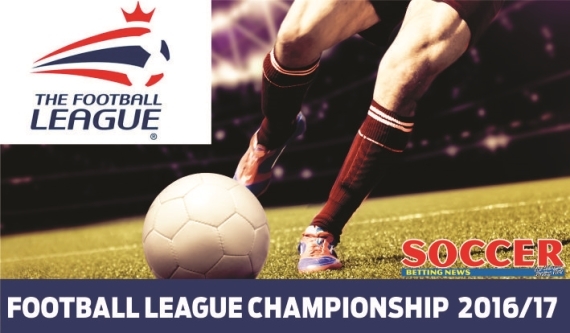 We're 14 games into the Football League Championship and things are starting to take shape. 14 games into the 2016/17 edition of the Football League Championship and things are starting to take shape. The big boys in Newcastle, Brighton, Huddersfield, Norwich and Sheffield Wednesday occupy the top five places. Meanwhile, Blackburn, Wigan and Rotherham prop the table up with Derby hovering precariously above the drop zone. The fixture of the weekend will see Birmingham take on Aston Villa in the Second City derby while Norwich’s trip to Brighton will be worth keeping an eye on. There’s plenty to get through this week, so let’s get to it! We open up week 15’s round of fixtures with QPR set to take on Brentford at Loftus Road. Rangers were unlucky to go down by a goal away at Sheffield Wednesday last week, with Gary Hooper’s strike in the 40th minute the difference between the sides. Jimmy Floyd Hasselbaink’s men did give a good account of themselves and could have claimed all three points had they been more clinical. This lack of ruthlessness in front of goal will need to be rectified if the R’s want to be pushing for a promotion place come the end of the season. Brentford’s blitz start to the season now seems like a distant memory as they were comprehensively beaten by Barnsley last week. Perhaps it was the pressure of playing their 4000th league game that got to the Bees in front of their home fans, but they just never turned up. Goals either side of the break for Adam Armstrong and Sam Winnall ensured that Brentford are now winless in five games. QPR are the better team in terms of their form and on paper and should be backed to win at 17/10. I think it’s safe to say that things have officially reached crisis point at Derby County following their loss to Huddersfield at the weekend. Steve McClaren was watched helplessly as his side threw away a point following Elias Kachunga’s 93rd-minute strike. With only three wins to their name this season, the Rams sit two points above the drop zone. McClaren would only be fooling himself if he didn’t think he was in a relegation dog fight, the last thing he’ll need is to face a Sheffield Wednesday side who are in fine form. Wednesday were solid in their 1-0 win over QPR at the weekend. Gary Hooper has rediscovered his scoring form and Fernando Forestieri has started to show why so many pundits think he should be a Premier League player. Although the+ last two matches between the sides have ended in draws, I simply don’t see Derby leaving the iPro with anything this weekend. Back the far superior Wednesday at 21/10. The Cottagers haven’t been in the best of touch lately and its showing. A solitary win from their last six games leaves the West Londoners languishing in 14th position on the log. They were the latest victims in Aston Villa’s resurgence under Steve Bruce as Jonathan Kodjia’s bundled the ball into the visitor’s net, inflicting Fulham’s fourth defeat of the season. It doesn’t get any easier for Slavisa Jokanovic and his men as they welcome high-flying Huddersfield Town to Craven Cottage on Saturday. The Terriers toiled hard at the weekend and were fully deserving of their 93rd minute winner against a languishing Derby County side. The win was Huddersfield’s ninth in 14 league games this season as they consolidated their grip on third place. Fulham haven’t been great in recent weeks. Huddersfield offer excellent value at 39/20 and are backed confidently. Brighton successfully negotiated a tricky away tie against Wigan Athletic last time out with a 1-0 win thanks to an absolute screamer from Dale Stephens. The win ensured that Brighton remained in the second of the two automatic play-off places behind Newcastle United. The Seagulls look as though they may be one of the only sides to trouble Newcastle going ahead in the season. They concede very few and have shared the scoring responsibilities between Anthony Knockaert, Sam Baldock and Glenn Murray. They’re one of the division’s stronger units and will be a tough nut to crack at the AMEX this weekend. Alex Neil would have been furious with his Norwich City side as they dropped three points at home against Preston North End at the weekend. The defeat put the brakes on a run of five successive home wins at Carrow Road as the Canaries slipped into fourth position on the standings. They simply can’t afford to lose any more ground on Brighton and Newcastle and have the perfect opportunity to put things right against the former this weekend. These games are tricky to call. Both teams are packed full of quality players who could ply their trade in the Premier League. This game will be tight, no doubts about it. As such, I’ll be taking Both Teams To Score: No at 17/20. It’s been an indifferent start to the season for Mick McCarthy and his Ipswich side. They currently find themselves occupying 17th place on the log with no real chances of promotion this season. The Tractor Boys were beaten 3-0 by a far superior Newcastle team last time out and will be looking to bounce straight back against the division’s cellar dwellers. Rotherham are in massive trouble just 14 games into the new season. Eight points from safety and without a win in six games, Kenny Jackett and his men might as well begin planning for life in League One. The Millers simply don’t have the quality to stay in the division, let alone make a contest of this weekend’s game. Ipswich are tipped to win confidently at 6/10. Can Leeds finally make their comeback to the big time following a rather lean spell which has seen them bounce around the lower divisions? They head into this game against Burton on the cusp of the play-off places. Gary Monk – who was so close to being sacked at the start of the season following a dreadful start – has turned things around quite brilliantly at the Yorkshire club. They won again last week against Wolves and look good value to do so again against the Brewers. Burton stunned Birmingham at the Pirelli Stadium last Friday as they cruised to a 2-0 win over one of the stronger teams in the division. The result was only their second win in eight games as they moved up to 13th in the Championship standings. It’s early days yet, but the tiny Midlands club look as though they could well survive this season in the Championship, whether or not they’ll survive an onslaught from Leeds at Elland Road this weekend is a different story. Leeds win this on for me and should be respected at even money. Cardiff have been reinvigorated under the leadership of Neil Warnock and are undefeated in three matches he’s been at the helm. They were utterly dominant against Nottingham Forest at the City Ground last weekend running out 2-1 winners; Forest grabbing a late consolation goal from the penalty spot. The Welsh side have now moved away from the foot of the table and look capable of beating just about anyone in the league – amazing what a change of manager can do, isn’t it? The Bluebirds come up against newly-promoted Wigan this weekend at the Cardiff City Stadium. The Latics were desperately unlucky not to hold on for a point against Brighton at the weekend as they went down to Brighton thanks to an absolute rocket from Dale Stephens. Wigan are now without a win in four and sit in the relegation zone. Cardiff are tipped to pile more misery on Wigan this weekend – back them at 12/10. Reading have enjoyed a solid start to the season and find themselves just a point outside of the play-off places with a third of the season gone. Jaap Stam’s men left it late to beat a floundering Rotherham side at the weekend with Paul McShane’s winning strike coming in the 86th minute. The scoreline doesn’t highlight just how dominant Reading were with Garath McCleary seeing his penalty saved by Rotherham goalkeeper, Lee Camp. Nottingham Forest have been in freefall over the last few weeks, winning just one of their last six fixtures in the league. They were soundly beaten last time out by Cardiff City even though they utterly dominated the first 20 minutes of that fixture. Philippe Montanier will want to see his side be more ruthless in front of goal as the pressure grows on the Frenchman. One thing I’ve learned about Nottingham Forest this season is that you just have to back them on the Both Teams To Score market. Eleven of their last league matches have seen both sides score and I can see the trend continuing; get on at 8/10. Barnsley breezed past a Brentford side who have hit a dip after their strong start to the season. Adam Armstrong and San Winnall grabbed the goals as the Tykes dragged themselves into the mid-table, just one position below Brentford. Bristol City also claimed a win last time out as Aaron Wilbraham’s sweetly-struck 88th-minute goal meant that the Robins claimed all three points from a rather dull encounter. Lee Johnson will be looking for a good performance from star striker, Tammy Abraham at Oakwell this weekend. There’s very little to pick between these two sides as their positions in the league seem to suggest. Expect an open, attacking game with Barnsley pushing forward and Bristol looking to hit on the counter. I’ll be taking Both Teams To Score: Yes at 13/20 here. Preston will be looking to claim their second big scalp in as many weeks as they welcome a rampant Newcastle side to Deepdale this weekend. They certainly come into this game in fine form having won four and drawn two of their last six games. They shocked Alex Neil and Norwich City last week and will be looking to inflict Newcastle’s first league defeat since the opening day of the season. Newcastle rightly come into this game as massive favourites. Dwight Gayle has been in red-hot form this season and leads the Championship scoring stakes with 11 goals in 14 games and looks to have repaid the 10 million Pound fee that Rafa Benitez forked out for his signature. While Preston have been in good form, Newcastle are simply too strong. The Toon have 30 goals in 14 games and are tipped to steamroll Preston at the Deepdale – back the straight win at 7/10. Prior to the start of the season I tipped Blackburn for the drop. While they’ve improved since the start of the season, they haven’t shown enough to warrant optimism from their fans. They were edged out last time by Bristol City as former Crystal Palace striker Aaron Wilbraham grabbed the only goal of the game. Three wins, three draws and eight defeats simply isn’t good enough for Owen Coyle’s men – relegation looks likely. Wolves are another side who have been on a dire run of form, spiralling wildly down the Championship standings. Five defeats and a draw in their last five is just not good enough as the pressure begins to mount on Wolves. While I don’t think they’re runners for relegation yet, a defeat at Ewood Park might just swing my opinion. Both sides are struggling to pick up wins at the moment. The draw looks the best bet at 22/10. The biggest match of the weekend will see Birmingham City welcome fierce rivals, Aston Villa to St. Andrews in what promises to be an absolute cracker of a match. Birmingham were desperately disappointing last week as they were gunned down by Burton Albion. Gary Rowett has a massive job on his hands this weekend as he will not only have to deal with the tactical nous of Steve Bruce, but a fired up Villa side who will be desperate to put a dismal year behind them. Aston Villa are riding high and have turned a corner under Steve Bruce, winning back to back games for the first time since May 2015. The new manager will no doubt be targeting this game and he knows full well that a win for his charges could provide the springboard they need to get back into promotion contention. This Villa side are a different prospect under Bruce – nobody in the division will want to play them at the minute. Back Villa to put their neighbours to the sword at 31/20.